An English lady in 15th century fashion. 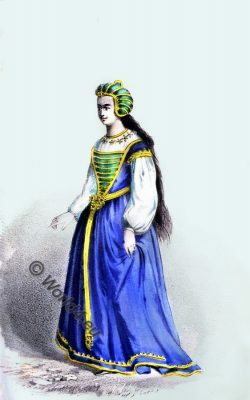 Tudor costume. This entry was posted in 1490, Burgundian dress, England, Middle Ages, Nobility, Renaissance, Tudor and tagged Medieval costume, Renaissance fashion era, Tudor period on 6/5/17 by world4. Sir Walter Raleigh tries to settle a colony in America. Sir Walter Raleigh (1552 or 1554 in Hayes Barton, Devonshire; † October 29, 1618 in London, executed) was an English sailor, explorer, soldier, spy, politician, poet and writer and favorite of Queen Elizabeth I. His surname is also found in the spellings Rawley, Ralegh and Rawleigh. With the support of wealthy investors he financed several trips to Virginia in order to realize its colonial goals there. As a result of financed from Raleigh expeditions was in 1585 the founding of Roanoke in North Carolina. This entry was posted in 1552, 16th Century, 17th Century, England, North America, Renaissance, Tudor and tagged American colonialism, Portrait, Tudor period on 7/10/16 by world4. 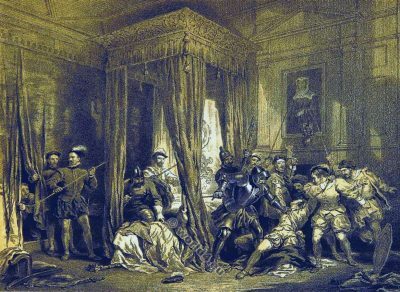 The assassination of David Riccio. The assassination of David Riccio. Queen Mary’s bed chamber at Holyrood Palace. 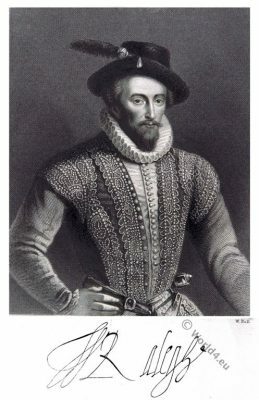 David Riccio was the secretary of Mary Queen of Scots. He was killed before her eyes. This entry was posted in 1566, 16th Century, England, Genre, Renaissance, Scotland, Tudor and tagged English history, Renaissance fashion era, Scotland Delineated, Tudor period on 5/22/16 by world4. 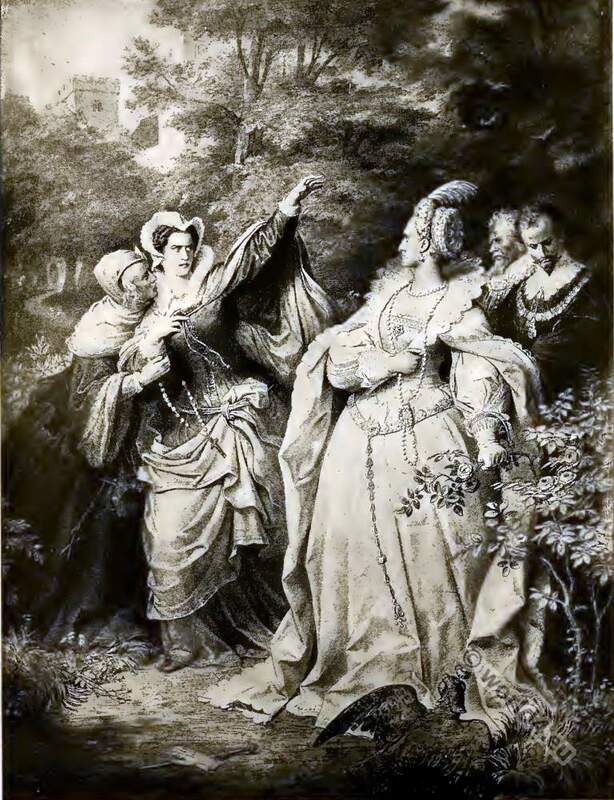 Margaret Roper (1505-1544), born More, was an English translator and the eldest daughter of the English humanist Sir Thomas More. She was considered one of the most educated women in Europe who was in frequent correspondence with Erasmus of Rotterdam. Her most significant achievements were her translations and her publication as an author as the first middle-class women in England. This entry was posted in 16th Century, England, Tudor and tagged Pictures and Royal Portraits, Tudor period on 4/11/16 by world4. 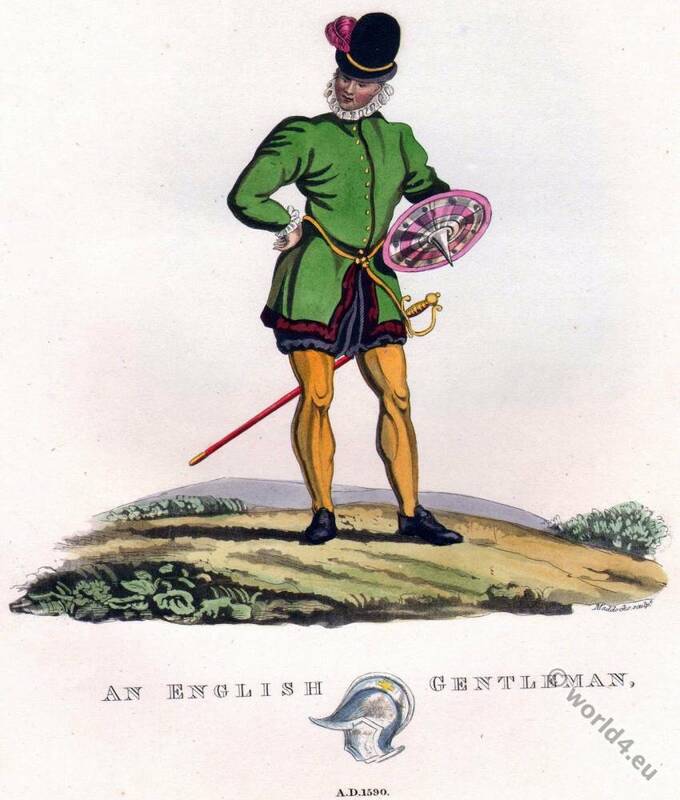 An English Gentleman costume in 1590. With shield and sword. An English Gentleman. A.D. 1590. An English Gentleman costume in 1590. 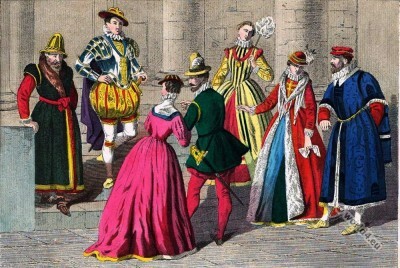 Tudor fashion era. Renaissance 16th century. This entry was posted in 1590, 16th Century, England, Renaissance, Tudor and tagged Costume Of Great Britain And Ireland, Renaissance fashion era, Tudor period on 11/18/15 by world4. Catherine Howard. Queen of England. 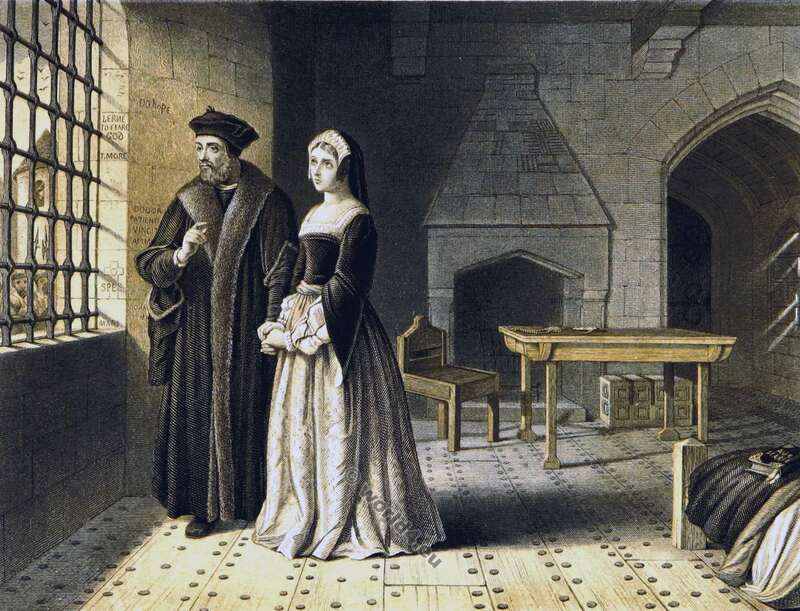 Catherine Howard. Queen of England. Portrait of Hans Holbein the Younger. Catherine Howard. Queen of England, fifth wife of King Henry VIII. Portrait of Hans Holbein the Younger. 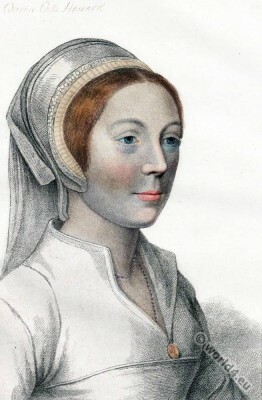 Catherine Howard c.1521 – 1542. 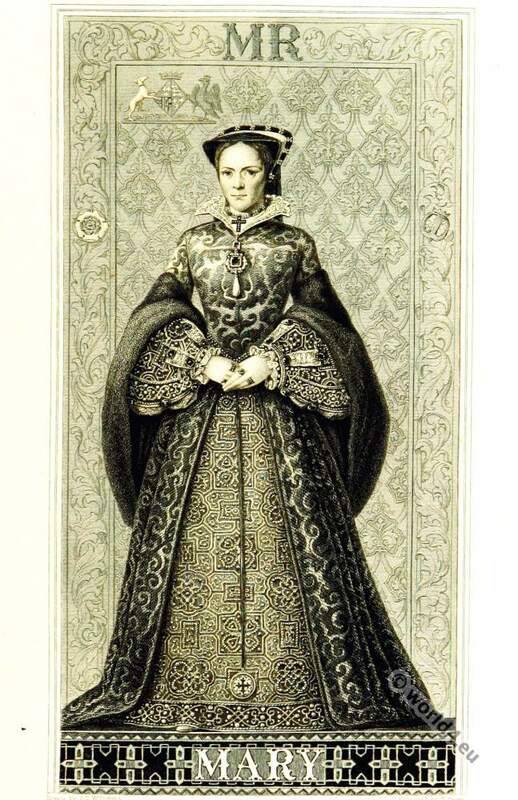 She was from 1540 until 1541 Queen of England and the fifth wife of King Henry VIII. Henry VIII. 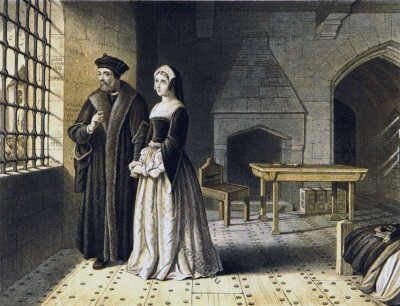 and Catherine Howard were married on July 28, 1540 at Oatlands Palace, in Surrey, immediately after the annulment of the marriage with Anne of Cleves. This entry was posted in 16th Century, England, Nobility, Renaissance, Tudor and tagged Portrait, Renaissance fashion era, The Court of Henry VIII, Tudor period on 11/15/15 by world4. This entry was posted in 15th Century, England, Genre, Tudor and tagged Character sketches, German Enlightenment, Tudor period on 7/7/15 by world4. Tudor England clothing 1550 to 1580, 16th century. 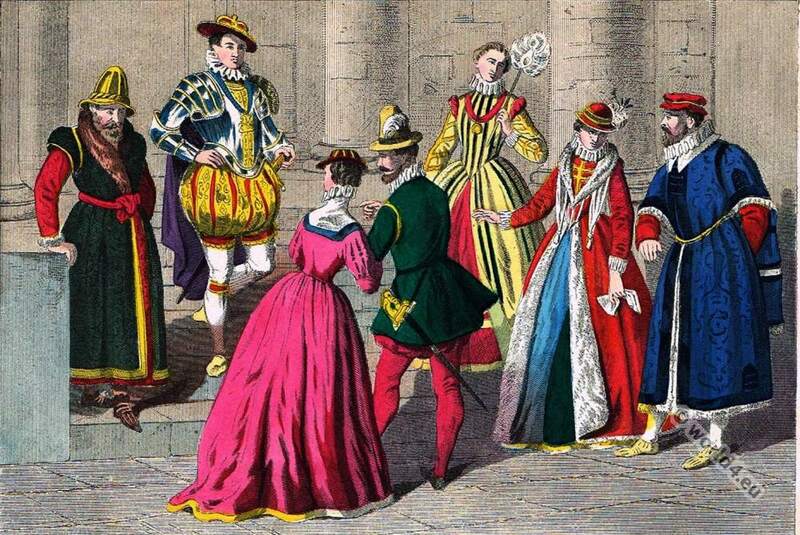 From left: Nobleman, Military habit, Middle Class, Noble ladies, London Merchant. Tudor England clothing 1550 to 1580. This entry was posted in 1550, 1580, 16th Century, England, Renaissance, Tudor and tagged Renaissance fashion era, Tudor period on 6/23/15 by world4. The Gunpowder Plot. 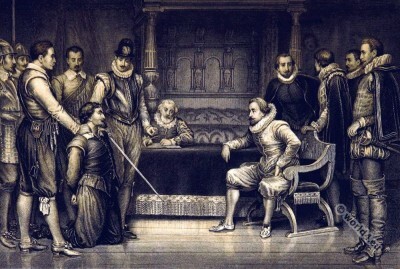 Guy Fawkes interrocated by James I and his council in the Kings bed chamber, Whitehall. This entry was posted in 1605, 17th Century, Baroque, England, Genre, Tudor and tagged Baroque era, English history, Pictures and Royal Portraits, Tudor period on 6/10/15 by world4. 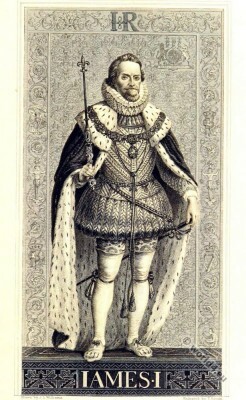 King James I of England. 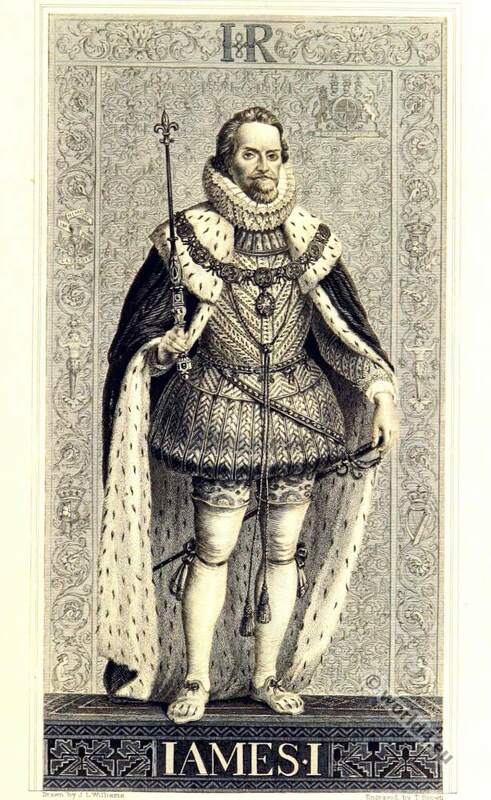 King James I of England (1566–1625). Son of Mary Stuart, Queen of Scots. This entry was posted in 16th Century, 17th Century, Baroque, England, Nobility, Stuart and tagged Baroque era, English history, Pictures and Royal Portraits, Tudor period on 6/10/15 by world4. 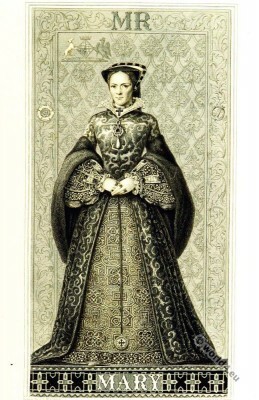 Queen Mary, the daughter of Henry VIII. This entry was posted in 1558, 16th Century, England, Nobility, Renaissance, Tudor and tagged English history, Pictures and Royal Portraits, Renaissance fashion era, Tudor period on 6/10/15 by world4.